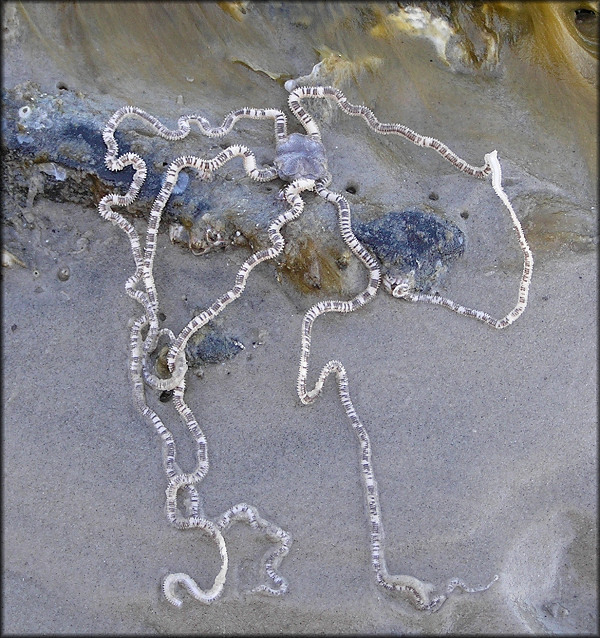 This Mud Brittle Star was found buried in the sand at Big Talbot Island State Park (Nassau Sound) Duval County, Florida on February 16, 2007. The specimens individual arms measured about 140 mm. in length. Although brittle stars are found in northeast Florida, they are rarely found intertidally crawling through the sand.